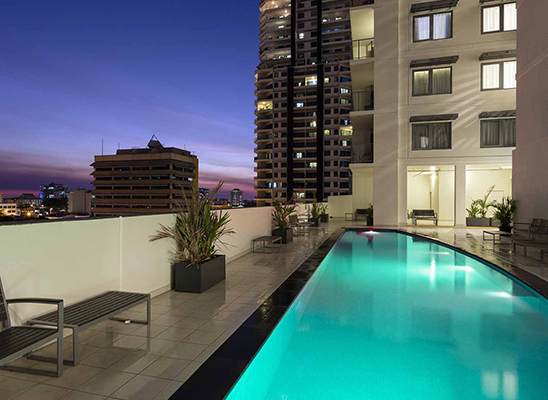 Looking for Accommodation for the Arafura Games? 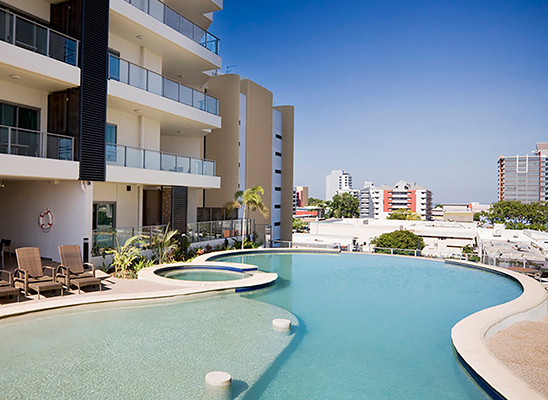 Holidays of Australia are one of the official partners of the Arafura Games which run from the 26 April to 4 May 2019 and we are happy to provide the games community with accommodation deals and offers to help make your stay in Darwin for the Arafura Games as easy and stress free as possible. Below are our current offers exclusive to the Arafura Games participants, spectators, organisers and volunteers. We can assist you with flights to get you to Darwin and back home again, just speak with one of our consultants and they will be able to prepare a quote for you. If you can't find an offer that matches your requirements let us know and we would be happy to find the perfect itinerary to suit your needs. 7 night stay at the Oaks Elan. * Valid for new bookings and not combinable with any other offer or fare types. Offers subject to availability. Fare based on specific departure dates only. Higher fares may apply to other departure dates listed. A minimum deposit of 20% per person is required to confirm your reservations. The reservation deposit is non-refundable. Reservations made within 90 days of departure will only be accepted if the total value of the arrangements is paid in full at the time of booking, this also secures payment of any cancellation fees imposed if the booking is subsequently cancelled by you. In the event that we are unable to confirm your requested arrangements your payment will be refunded in full. Payment of your deposit will be deemed as you accepting these terms and conditions. For full terms & conditions, please visit our Terms & Conditions page. 5/7 night stay at the Mantra Pandanas.